This particular model came about, as many of our models do, from customer's request for an amp that copied the tome of the amp Mark Knopfler used on early Dire Straits Saltan's of Swing, but he wanted added tube reverb. Mark still uses that amp sometimes, today. We took the basic F____ Brown VLX 6G11A circuit, and modified it to add the reverb from the 6G16 for the best of both worlds. Also, added a middle control for more tonal variations. 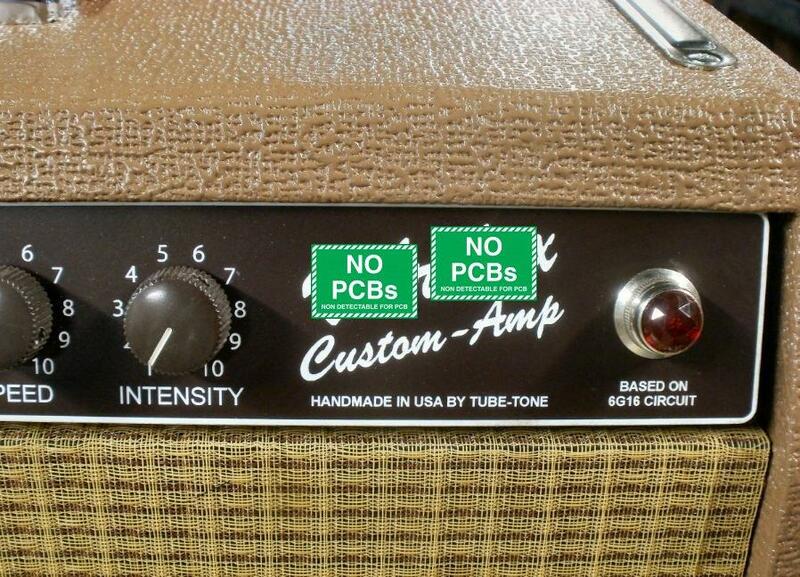 If set to "7", the tone is the same as amp without the middle control. 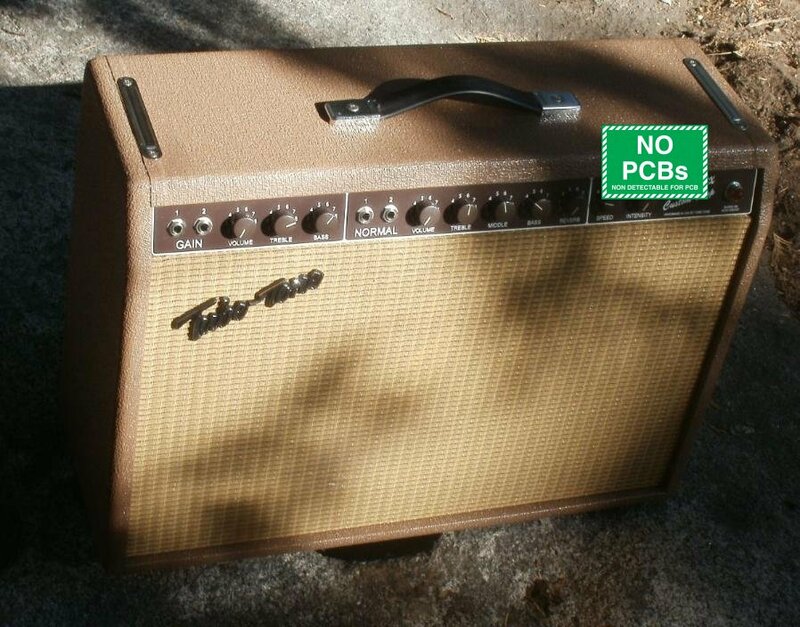 Most brown ('60-'63) era F____ amps seem to be the perfect blend between the old 'dirty' tone tweed circuits and the 'clean' blackface circuits, giving the sweetest tones, in our opinion. The clean has a nice 'warmth' to it with a nice bark and growl when you really dig in. The brown Vibrolux was a favorite of many recording artists. Single 12" Weber 12F150T speaker, with bias modulating tremolo. 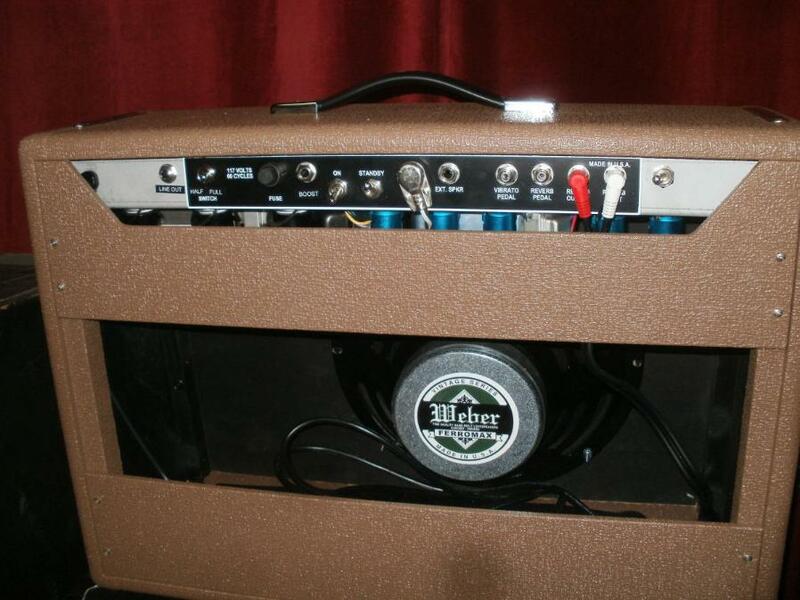 Tubes are (2) 6L6GC power tubes, (6) 12AX7 preamp/reverb/tremolo/PI tubes with GZ34 rectifier. Similar to the 6G16 but with lower wattage, and headroom. 30 watts RMS. This is deposit only. Balance due when ready for shipping. Total price shipped, in continental states is $1800. Total price to other countries is $1750 plus shipping. Specify voltage required, jewel light color and any mods when ordering. CA residents add CA sales tax.